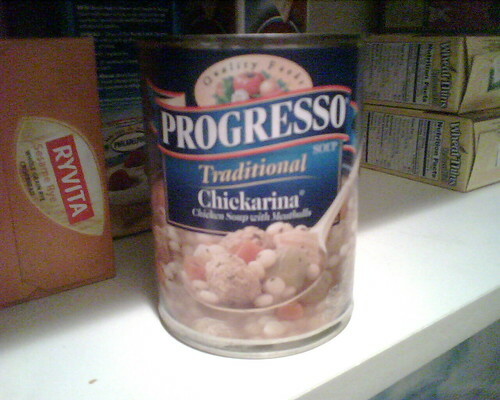 Progresso Chickarina is the best canned soup that there is, period. Its not up for discussion. It’s my favorite soup, and it’s going to be Jack’s favorite too. This is one of those things that I just cant compromise on and if he grows up to think that Campbells Tomato is better, I’ll be forced to disown him. My love for this soup started at a very young age, but it wasn’t until I was about 22 years old and more closely inspecting the can that I noticed that its not called “Chickenarina”. I’ve been calling it that for as long as I can remember, and it still drives my dad crazy. I’ve thought about petioning Progresso to change to name to Chickenarina and I’m certain that my brother Roland would be the first signature. So anyway, Jack tried it today and seemd to like it, but he didn’t love it. And really, what’s not to love? The meatballs? Who doesnt like meatballs? The pasta, or the delicious chicken broth? No way! its impossible not to love it, and believe me, he’s gonna. 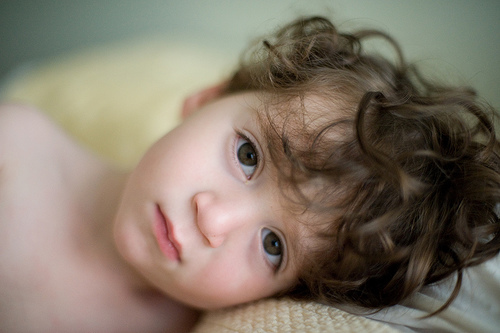 I don’t care if I have to feed it to him exclusively for the next 10 years, he’s gonna love it and thats final.